The Turbo Florio is the perfect symbiosis of turbo engine and safety convertible. 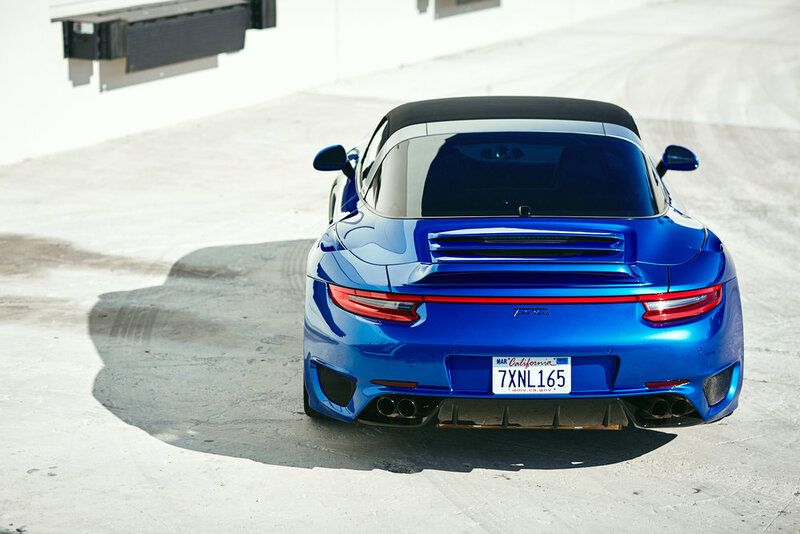 Leaving nothing to be desired, it combines the benefits of a civilized RUF Turbo chassis with a staggering 645 hp power output, along with the heady pleasures of top-down motoring. The roll-over safety bar that separates the convertible top from the fixed rear glass window determines the overall appearance and character of this car. Refined technical details include the air intake ducts above the rear wheelarches that feed fresh air to the intercoolers, while the rear quarters are defined by the discreet fixed rear spoiler and the carbon-fibre diffuser. The Turbo Florio is available either as a rear-drive only or all-wheel drive transmission, with a manual six-speed or seven-speed double clutch gearbox.